It's no secret that Aaron and I have been blessed to see a lot of the world. From Florence to Dublin to Venice and more, we've fallen in love with travel and all the amazing places we've visited. But one major place on my bucket list still looms...and it's a place we'll need to get to finish off our 50 states: HAWAII! I've had several friends who visited this amazing place on honeymoons or other trips, but Southwest doesn't fly there and thus we can't go free. So we haven't yet. But that hasn't stopped me from dreaming and planning and looking at some awesome places to stay. So without further ado, here are four dreamy boutique hotels in Hawaii, along with their nearby attractions. The Hawaii Prince Hotel promises amazing oceanfront views and a beautiful location on the harbor. With four star ratings and a close vicinity to the beach, this hotel promises to please travelers of all preferences and on all types of trips. 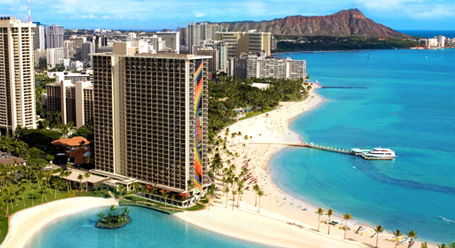 Maile Sky Court Hotel in Waikiki is another great option that allows for easy beach access at a great price. The Beach Walk is nearby and offers lots of dining and shopping options. Families may also enjoy a visit to the DFS Galleria. The $10 resort fee includes a shuttle that will take guests within a five mile radius, offering the opportunity for lots of exploring! 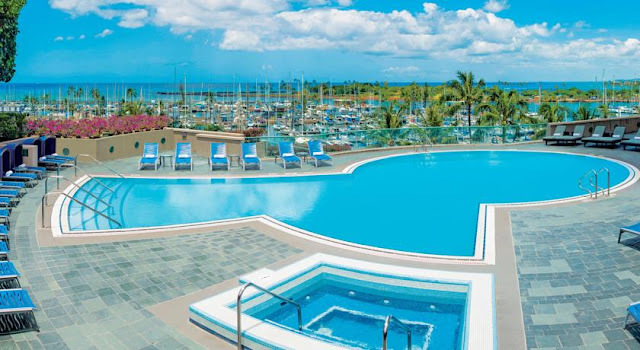 The incredible, beautiful Hilton Hawaiian Village Waikiki Beach Resort offers not only stunning views, but also a close proxomity to several popular attractions including the Arizona Memorial Center, USS Missouri Memorial, Pacific Aviation Museum, and the Iolani Palace. There is also a nearby nature preserve, located in an exctinct volcano crater. With five pools and nightly resort activities, this location is a bit more pricey, but you get a lot of bang for your buck! 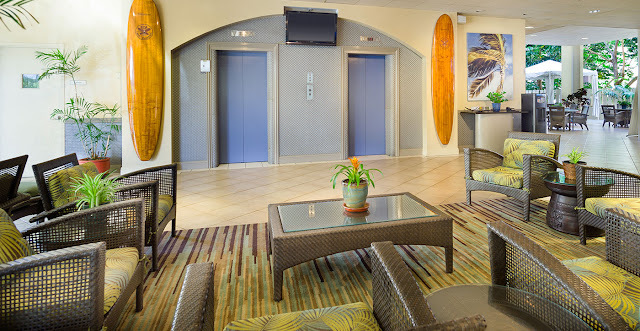 Aqua Aloha Surf Waikiki is an excellent Hawaii option if you're looking for a room with a kitchenette. 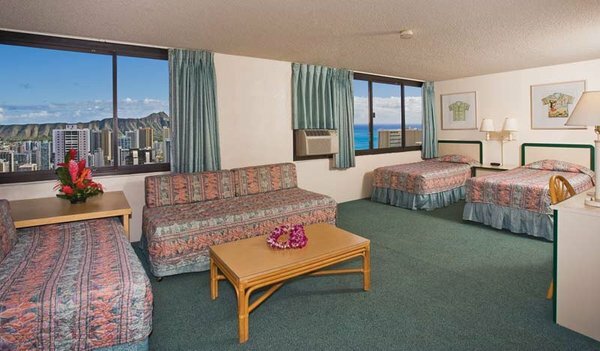 Just a short walk to Waikiki Beach, the resort fee of $15 includes sun loungers and beach towels for your day of relaxation. Dining is also located nearby, as is the Waikiki International Marketplace where you can find artisan items from around the world. Since I've also heard so many great things about Maui, I had to throw in the Maui Beach Hotel for a taste of another island. I have to be honest, I think I saved my favorite for last! 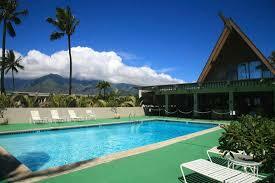 This Maui hotel is incredibly affordable, and offers amazing views of the Pacific from its dreamy pool area. They also have a free hotel shuttle that will take guests anywhere within a five-mile radius, so you can hike, golf, and check out the shopping at the Queen Kaahumanu Center. And of course, there's plenty to explore in the waters of the Pacific! Have you ever been to Hawaii? Which island or hotel was your favorite? I'm hoping we can take the leap and make the visit in the next couple years. If not, I'll just keep dreaming and checking out awesome hotels like these. Happy travels! I think I'd consider just about any hotel dreamy if it was in Hawaii, but these are particularly fun. I love the Hawaii Prince Hotel! Yessss, me too! I'm totally digging and dreaming of them all. Hawaii please, stat! Maui is sooo beautiful! We stayed at the Royal Kahana Maui by Outrigger and would definitely stay there again, if given the chance! Hawaii was our big before-starting-a-family trip, and I recommend it to anyone and anyone and everyone. It was supposed to be a once-in-a-lifetime trip, but it's definitely on our list of places to go back to. All I can say is: GO GO GO, if you can!